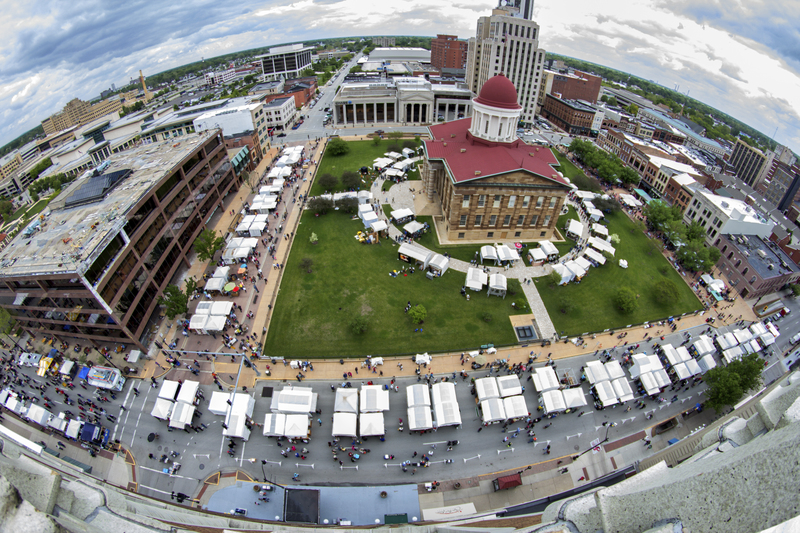 Set against the backdrop of the Old State Capitol building, art lovers find the Springfield Old Capitol Art Fair to be the jewel of the Midwest. 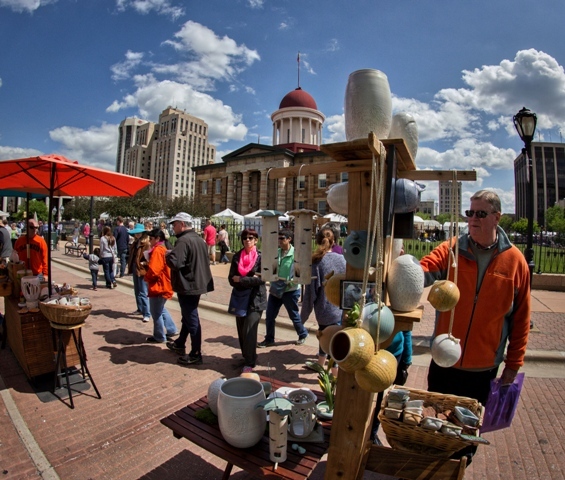 This tradition of fine art has brought artists and shoppers from across the country flocking to downtown Springfield's two day outdoor art gallery for over 55 years. Free to the public, the juried fair is dedicated to top quality and media variety, keeping more than 30,000 eager buyers coming back each year. In addition to a premium fair with many amenities, the Springfield Old Capitol Art Fair boasts a unique Children's Tent to encourage the young collector, a food court and live music.